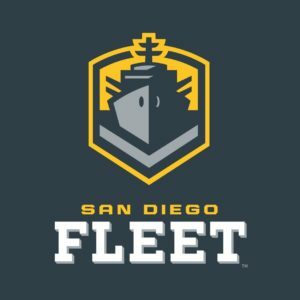 We’re gearing up for the first season of the Alliance of American Football, and with it, the San Diego Fleet. Empty Set Entertainment, the publisher of the GFL series, is locked in San Diego. Everyone in our company already has an allegiance to a team —but those teams are in the NFL. The AAF is a brand-new endeavor, starting out its inaugural season with ten teams. 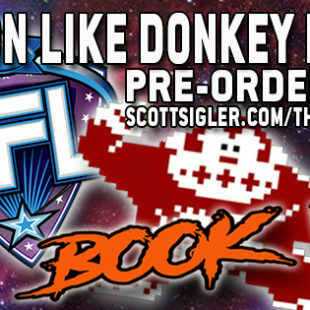 New league, and with the Chargers bailing out to LA, we’re going to get behind the Fleet and enjoy this new brand of American pro football. For the players of the AAF, this is a far cry from the big bucks of the NFL, where league minimum for the 2019 season, for a rookie, will be $495,000. The minimum goes up with experience. Now, contrast that to the AAF, where players will get three-year, non-guaranteed contracts for $250,000 — that’s $75,000 a year. Seventy-five large for playing football? There are worse ways to make a living, I supposed, but not many that include the same level of physical damage. If the AAS is successful, one can hope that salaries rise. It will never be equal to the NFL, I imagine, but there will be no shortage of young men lining up for the chance to get paid to play football. The season kicks off on February 9 when the Fleet visits San Antonio. After that, the Fleet sails home (see what I did there?) for a pair of home games, Feb. 17 against Atlanta, and Feb 24 agains San Antonio. We will be there for both of those home games. We’re looking forward to the new league, the new team and the new season.